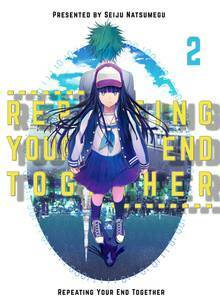 [Free Books] Repeating Your End Together｜MANGA.CLUB｜Read Free Official Manga Online! "Things I wanted to re-do seem to be endless..." An elite Office Lady, Komori, has a unique ability to do minimum time looping but the limit suddenly turn into 10 years when she got in an accident. The one who greets her in the high-school-past was that man, who had live in Komori's heart for a long time... sometimes remembered as a smiling nerd, sometimes as a lifeless body that Komori couldn't save. I love how they stick to those scientific theories till the end. Remind me of Stein:Gate, except for this one a protagonist with ability, so far the storyline is good actually.